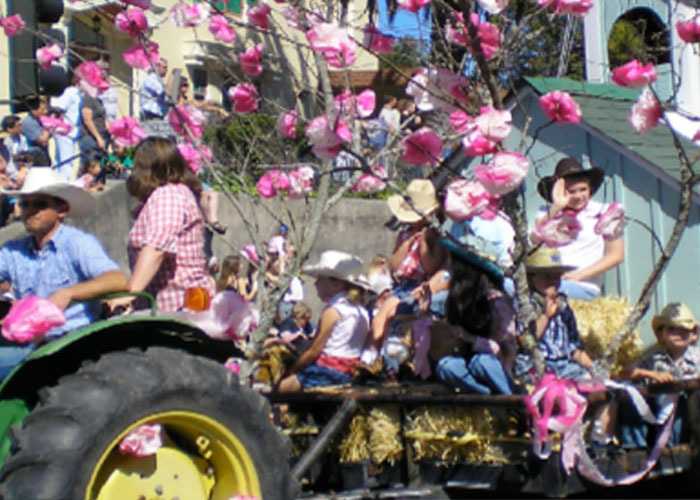 Home › Uncategorized › Join us, Grangers & Friends, to be in the Apple Blossom Parade on April 21! Join us, Grangers & Friends, to be in the Apple Blossom Parade on April 21! Grangers and friends are invited to march in the parade wearing bee outfits or antennaes. Our line-up spot for the parade is Division 3, #24. The parade starts at 10 but being in division 3 we don’t get marching for a while. They always try to get people lined up before the parade starts. Most people walk in to the line-up by Analy HS near the tennis courts (if there someone that can’t walk that far they can contact me at 707-484-5703 since I will have 2 passes for our group). Main Street closes to cars at least 30 min or more before the parade starts. Peter will be bringing the extra bee antenna and he and Cindy will have some signs for folks to carry. We will also have our Grange banner. If you need to contact someone at the parade, call Dena on her cell phone at 707-484-5703.